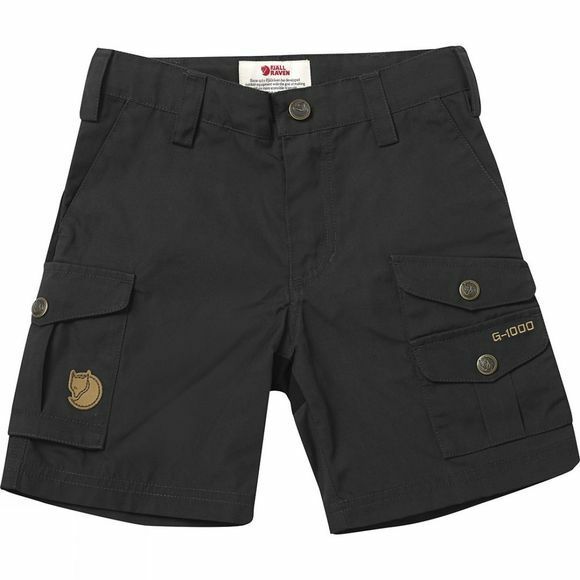 Durable outdoor shorts for kids, perfect for all of summer's adventures and treasure hunts in the great outdoors. Made from wind and water resistant G-1000 Original and reinforced with double layers of fabric over the rear. Two hand pockets and several leg pockets for maps and forest or beach treasures. The waist can be adjusted with an elastic band.